Kia ora and welcome to my blog! 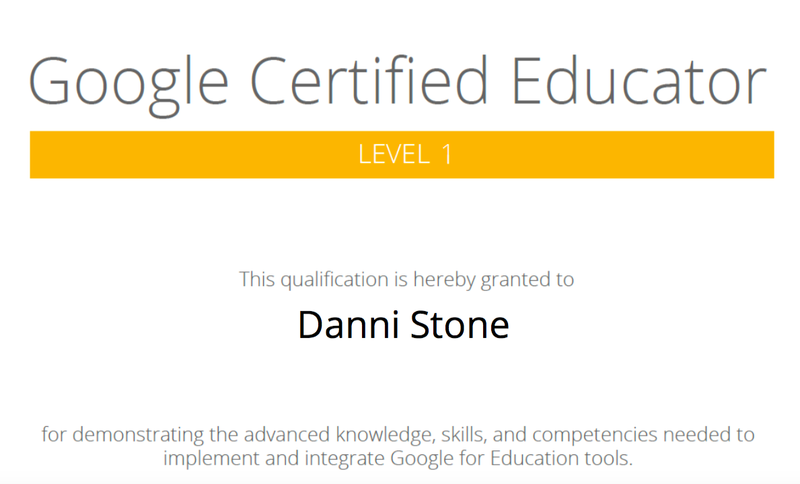 I'm Danni Stone, a year 7 and 8 teacher at Pt England School in Tamaki, Auckland. I use this blog to share aspects of my teaching practice, professional development and my teaching inquiry. There are no new ideas. This was the idea that keynote speaker Lisa Highfill opened with at Aorere college this morning. She experienced this first hand as she watched her inventor father come up with new products, prepare to launch them only to find another company had already produced them. This might sound a little defeatist, but she went on to explain that the value in an idea is putting it out there and sharing it. Instead of focussing on new ideas, Highfill suggested that we focus on sparking curiosity in our learners, so that they create, build on and share good ideas with one another. We considered different ways to elicit student thinking, dreaming and wondering. This could be through engaging multimodal sites, stories, videos, google earth... But they must ask questions and discuss their thinking with one another. This aligns very closely with the Learn, Create, Share pedagogy of Manaiakalani, as we spark our students thinking through immersion assemblies, multimodal sites and trips, but we ask them to inquire into these ideas. For Lisa, this inquiring began with the invention of Hyperdocs. It was her and her colleagues who first coined the term and created multi-modal docs to increase engagement and student agency. She noted that they did not name them hyper due to hyperlinks, instead the word hyper is chosen to mean alive and energised. In these hyperdocs, students are given a range of choices from how they access the learning, to how they create and shared. She encouraged us to share our own rich learning experiences with others. We must continue to spark our students wonderings. On Friday the Manaiakalani Innovative Teachers were fortunate enough to travel to the Coromandel for a retreat. There we discussed the problems that we had identified in our teaching and the hunches that we held. After seven weeks in the sun, I was eager to get back to school and meet my new class. It was the first time that I got to stay in the same classroom (what a difference that makes!) and my second year at Pt England School. This time I felt confident to draw on my past experiences; I am familiar with the Pt England way and the norms of the school, so I knew what to expect. As I love getting my students to collaborate, debate and discuss their learning with others, I set a series of team building tasks to build a positive class culture. 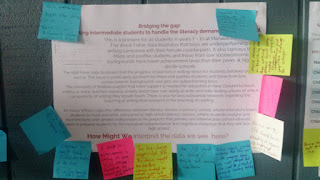 I linked each task with our theme for the term: Kia pai te kotahi, better together and we used the experiences as a springboard for our discussion about our class treaty. Educators who hold high expectations of their learners support their self-efficacy and belief. Whilst pushing their students to engage with challenging material, they are not only supporting higher achievement outcomes, but they are also demonstrating their belief in their learners, which in turn supports the students belief in themselves.